Leading Manufacturer of double glazed windows, steel window, metal windows, fixed glass windows, sliding window and replacement windows from Hyderabad. Our company has a known name in manufacturing of double glazed fixed metal windows that are ergonomically designed to lend style to the interiors as well as exteriors. These windows are manufactured using GI sheet (zinc coated sheet) and after manufacturing these windows are PU powder coated to give a long life, these windows are available in standard sizes to suit all the customer's requirements. 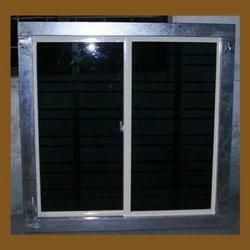 We are one of the leading manufacturers of double glazed windows in Hyderabad. Engaged in Manufacturing of Fixed Metal Windows that are Ergonomically Designed to Lend Style to the Interiors as well as Exteriors. Fixed Glass Windows are Manufactured Using GI Sheet (Zinc Coated Sheet) and after Manufacturing these Windows are PU Powder Coated to give a Long Life, These Windows are Available in Standard Sizes to Suit all the Customer's Requirements. 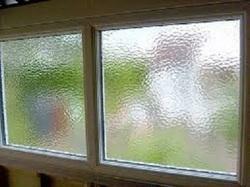 These windows can be single glazed or double glazed. 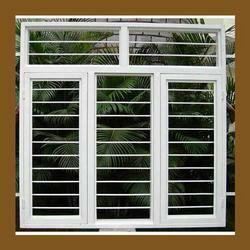 We are Known for Manufacturing of Sliding Window with MS Rod Grill embedded in the frame - this window exactly resembles a UPVC window and offers total solution for a window- where there is no need for a separate grill unlike in a UPVC window, these windows have a Zinc Coated sheet as frame and Special Aluminium Profiles for Window Shutters which are very strong and durable - more than this, these window are offered in a variety of Powder Coated colours and the colour is guaranteed for a Minimum period of 5-6 years and can be repainted unlike UPVC windows. 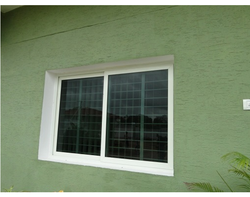 These windows are fitted with the same hardware which is used in UPVC windows adding elegance to the window. On special request these windows can be fitted with a roll on type imported type Mosquito Mesh, where in the blinds can be avoided. These Windows are Ergonomically Designed to Lend Style to the Interiors as well as Exteriors and are Manufactured Using GI Sheet (Zinc Coated Sheet), Further these Windows are PU Powder Coated to give Long Life and add Elegance to it and are Available in Standard Sizes to Meet and Suit to all Customer's Requirements. 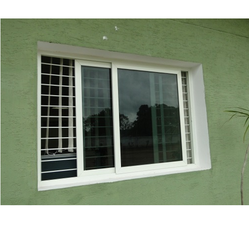 Engaged in Manufacturing of Glazed Steel Windows with Sliding and Openable Shutters which offer a better and Economical Option in the case of Replacement of the existing wooden windows, as these windows require Minimum time for Replacement, these windows can be Locked, and are fitted with Mild Steel Grill which is Totally Welded to the Frame thereby Assuring Safety and also have the Provision to fit S S Mosquito Mesh, these Windows are Ergonomically Designed to Lend Style to the Interiors as well as Exteriors and are Manufactured Using GI Sheet (Zinc Coated Sheet), further these Windows are PU Powder Coated to give Long Life and add Elegance to it and are Available in Standard Sizes to Meet and Suit to all Customer's Requirements. 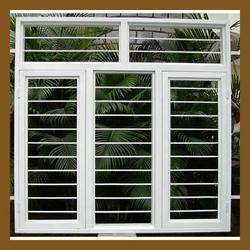 We are one of the leading Manufacturers of Replacement Windows in Hyderabad. Our company has a known name in manufacturing of glazed metal House Windows with sliding and operable shutters which can be locked, and are fitted with mild steel grill which is totally welded to the frame thereby assuring safety and also have the provision to fit s s mosquito mesh, these windows are ergonomically designed to lend style to the interiors as well as exteriors and are manufactured using GI sheet (zinc coated sheet), further these windows are PU powder coated with very attractive colors to give long life and add elegance to the windows, and are available in standard sizes to meet and suit to all customer's requirements. We are engaged in providing wide range of Glazed Metal Windows with Sliding and Openable Shutters fitted with Window Screens, these windows can be Locked, these Windows are Ergonomically Designed to Lend Style to the Interiors as well as Exteriors and are Manufactured Using GI Sheet (Zinc Coated Sheet). Further, these Windows are PU Powder Coated to give Long Life and add Elegance to it and are Available in Standard Sizes to Meet and Suit to all Customer's Requirements. 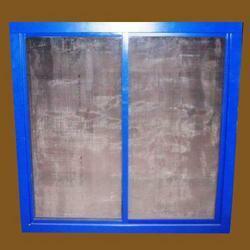 We are one of the leading Manufacturers of Window Screen Fitted Windows in Hyderabad. Our company has a known Name in Manufacturing of Metal Windows Frames which can used in Houses, Offices and Industrial Establishments, these Windows are Ergonomically Designed to Lend Style to the Interiors as well as Exteriors and are Manufactured Using GI Sheet (Zinc Coated Sheet), Further these Windows are PU Powder Coated to give Long Life and add Elegance to it and are Available in Standard Sizes to Meet and Suit to all Customer's Requirements. 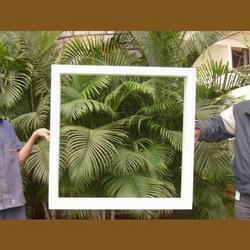 We are one of the leading Manufacturers of Window Frames in Hyderabad. 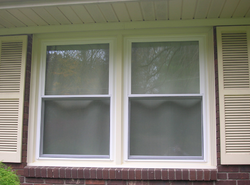 Looking for Metal Windows ?